Yelp: "A great pampering experience!" 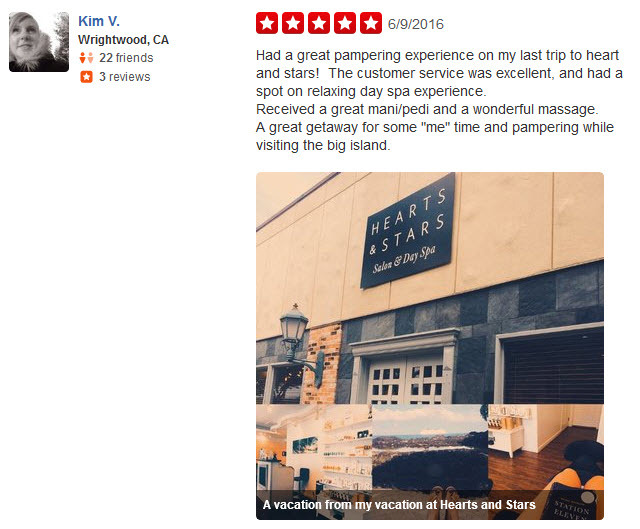 Mahalo Kim V for your lovely Yelp review! We hope to see you on your next trip to the Big Island!